Here at LD Lawyers, we provide a mobile legal service so that if there is a need, we can come to you, and provide legal advice and assistance in your home or place of business. Many of our clients choose to meet in the more comfortable environment of a cafè or library. We are based in Bulli, in the Northern Illawarra, NSW, and by providing a mobile service, we hope to provide you with competent, accessible legal assistance at competitive rates. We practice in the areas of Compensation Claims (MVA, WC, PL, VC), Traffic Offences, Criminal Matters, Local Court Appearances, De Facto & Family Law, Debt Recovery, Litigation, Conveyancing, Wills and Probate. 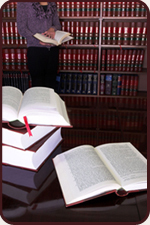 LD Lawyers has many years of experience assisting clients with legal matters. As a dynamic and small law firm, we are able to gain a thorough understanding of our clients’ needs and to offer representation and litigation for dispute resolution in a timeframe that best suits our clients. But really, the best way to see if we can be of any assistance is to contact us, either by phone or email. Initial enquiries are only that and do not attract any fees. We provide a mobile legal service. We can come to you and provide legal advice and assistance in your home or place of business.